Phpbb3 is an open source forum management CMS that are widely used for forum management. 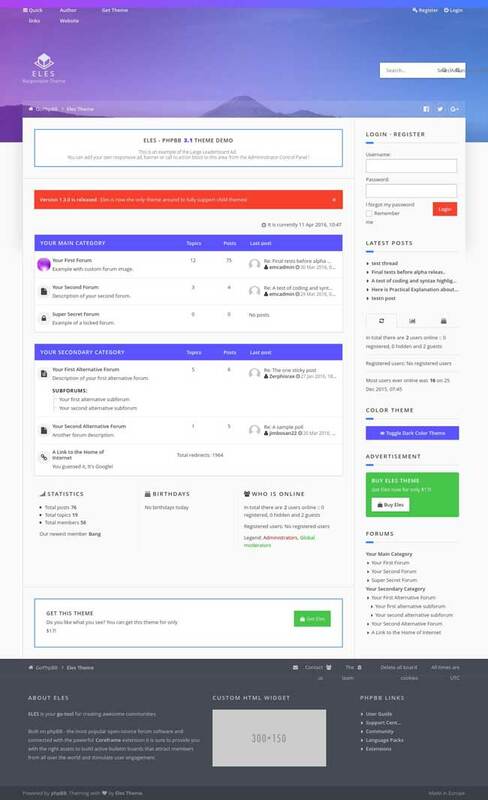 If you are searching for a Responsive phpBB Themes so this post for you. 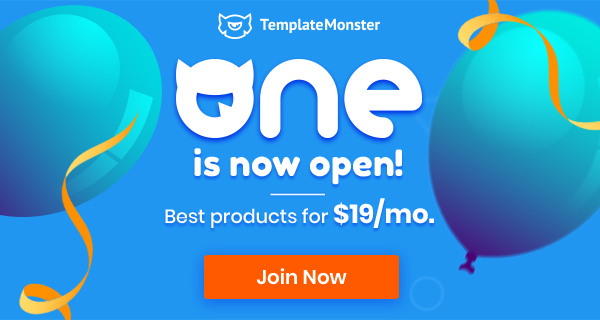 In this post, we will show you over 10 best phpBB Themes for 2019. Take one and make a good forum. Building a forum solution in your website can help you boost your web presence, strengthen your online brand and establish a relationship with other people within your niche or industry. Which means you can build your own forum or community site that could dominate some niche and generate millions of visitors a month. 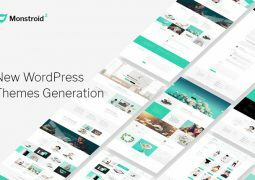 List of best phpBB Themes with responsive, unique design awesome premium looking phpBB3 styles. All phpBB Theme styles are compatible with the latest version of the phpBB forum software. Milk is an exceptionally amazing phpBB theme with clean and modern, fully responsive design for phpBB 3.2. 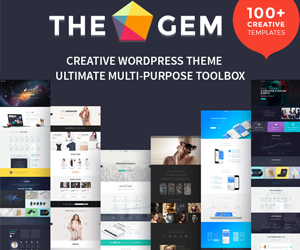 This well-designed and sophisticated theme is perfect for building interactive forum sites or online community. 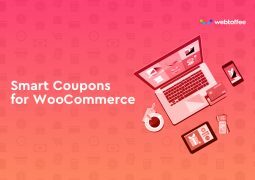 It offers unlimited colors ready to use demo layouts, 3 header layouts and 3 navigator bars Colours, which is suitable for online shopping, corporate, forums and community site with fully brandable theme. 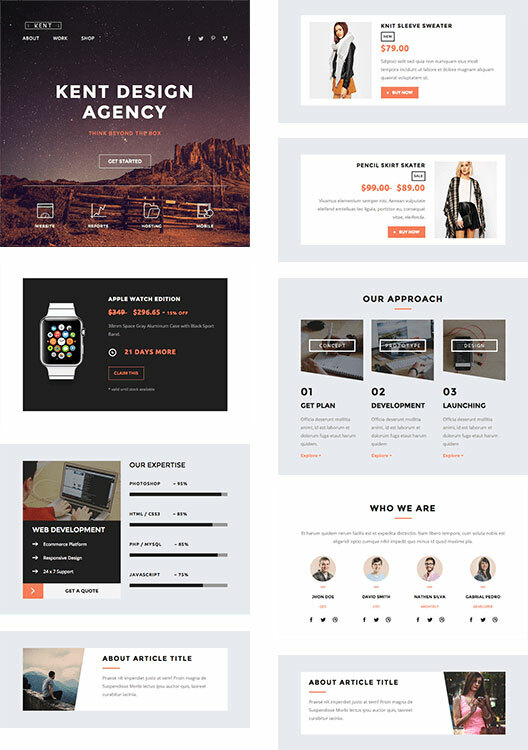 Webmaster are able to alter the style of their layout, by implementing a fixed and boxed layout. Milk has a limitless collection of options on Control Panel. You will be able to craft a site that perfectly matches your imagination. 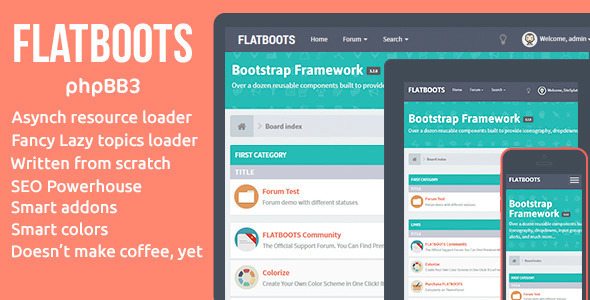 The theme has some gorgeous CSS3 animations, and CSS3 styling. 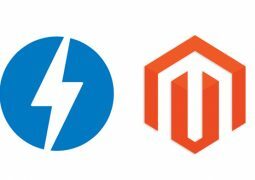 It is possible for site owners to upload their own header backgrounds and logos. This phpBB theme is responsive to all web enabled devices including Smartphones and tablets, such as ipads to give your readers or followers an optimal viewing experience each time they visit your website. Its built-in SEO features assure you that your website will become visible on the web. 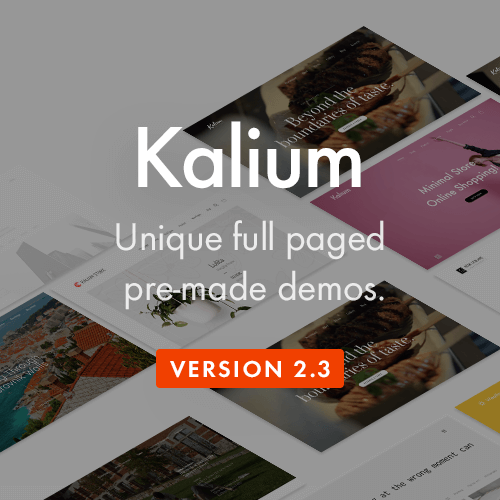 Volare is a beautiful, modern design and responsive phpBB 3.2 Theme. It built with great popular Material UI to improve the user experience. The Options Panel extension, retina ready, Material design and RTL support, you have multiple options for Fixed or Scrolling Header, Custom Menu. This theme is suitable for any phpBB3 forum community and it can be perfectly viewed across all devices and major browsers. All the forum icons are fully scalable vector icons,looking crisp & clear on your high resolutions devices. 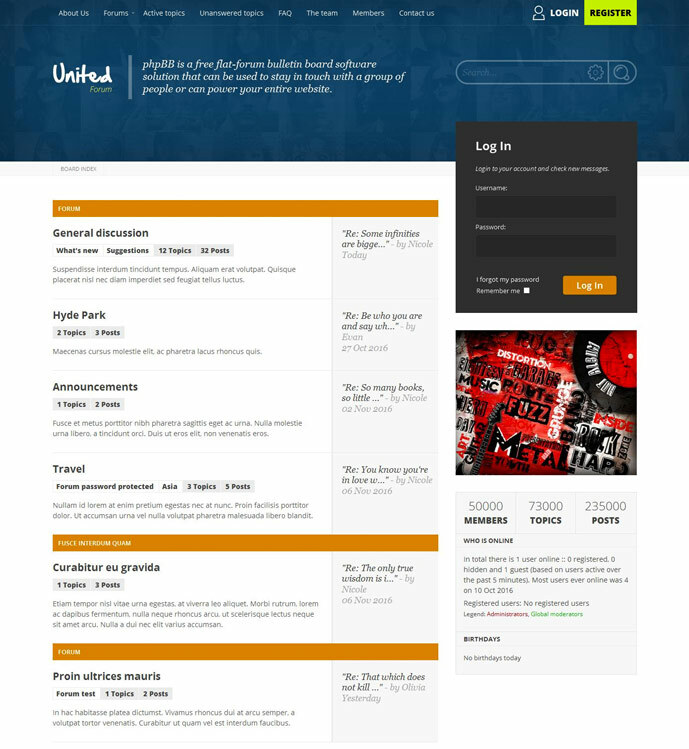 UnitedForum is a phpBB theme that promises to enhance your website. It gives you the power to create a community and bring people together. 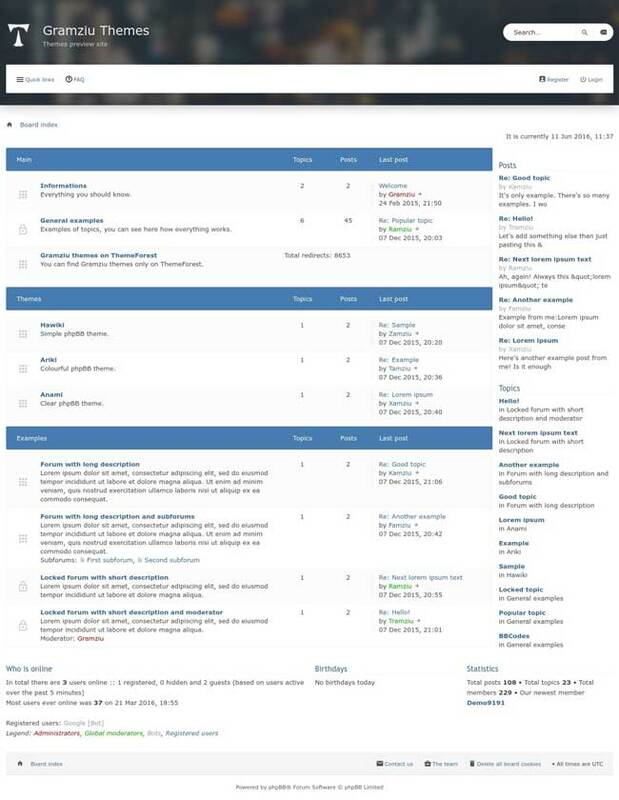 This all-around phpBB theme helps you set up and manage your forum site easily. UnitedForum contains every page and detail polished, excellent colors selection, consistency, clear typography and usability. 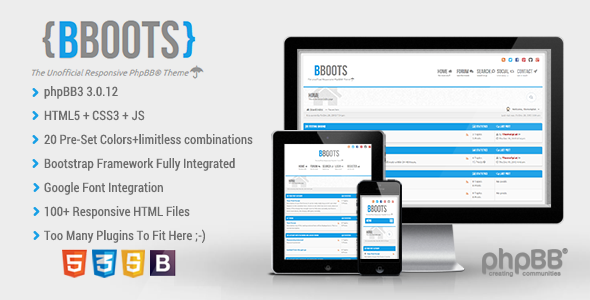 This theme compatibility with the newest phpBB 3.2 version. Site Options Panel can choose between several pre-made color schemes, or they can build their own palette variation. Lastly, this theme is designed with search engine optimization in mind. Try UnitedForum now! 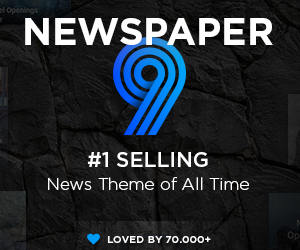 Eles is a professional, fully-responsive and retina ready Theme for phpBB 3.1. Eles is efficiently written for optimum performance and designed to provide a streamlined update experience while maintaining complete compatibility with newer phpBB versions most phpBB 3.1 third party extensions. 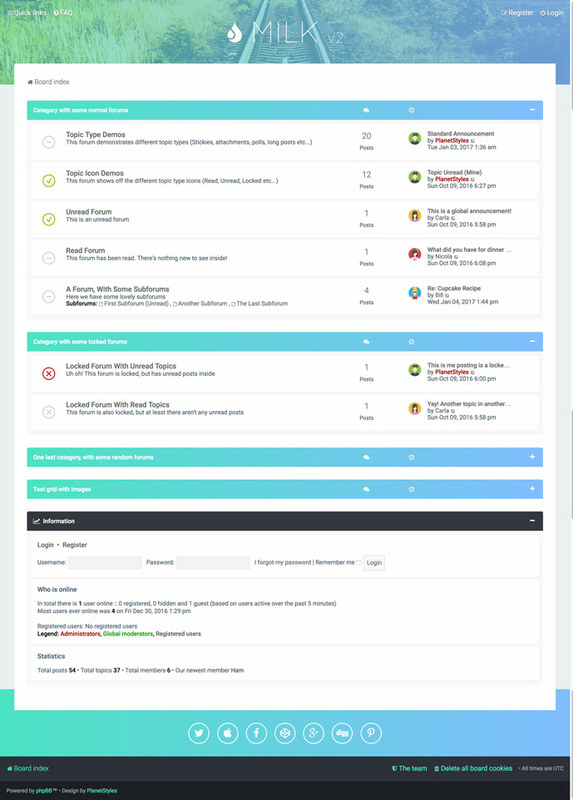 You can easily customizable your phpBB forum with CMS solution available via the coreframe extension, which is smartly built into phpBB and is sure to make your forum stand out from the crowd! 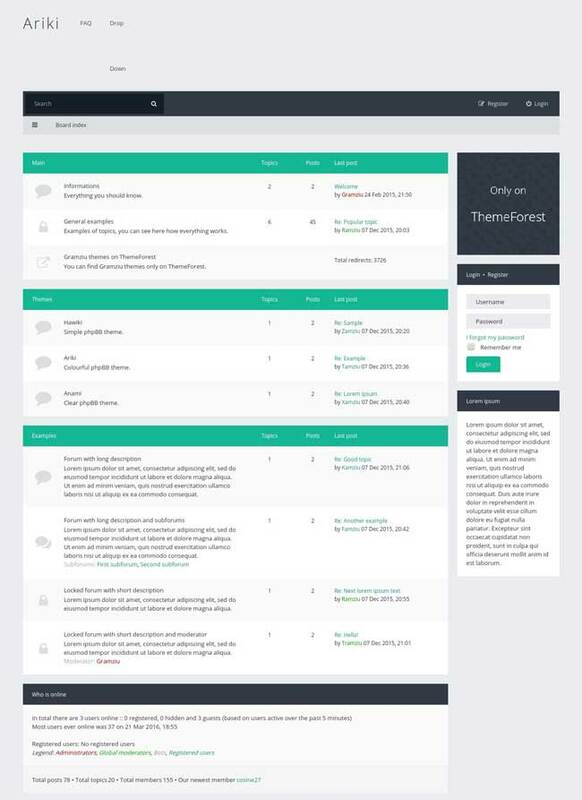 Ravaio is a Responsive phpBB Theme wiht modern and flat design. Ravaio features such as Untimited colors, editable sidebar, Customizable Navigation Settings Extension… Powerful Panel on Ravaio makes it easy to install and customization. 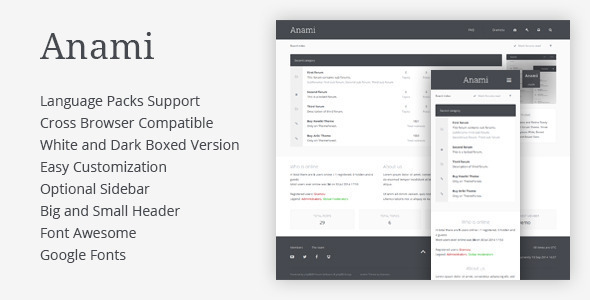 Ariki is flat responsive phpBB theme work well with latest phpBB 3.1.8 version. Ariki support for any language including RTL and Contains 17 predefined colour versions. 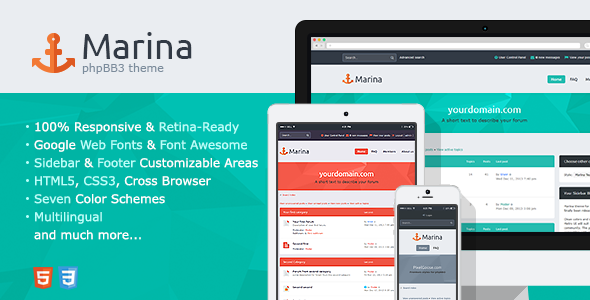 Tiaw is a fully responsive, retina ready phpBB Theme with classic design style. Tiaw work well with latest phpBB 3.1 version. 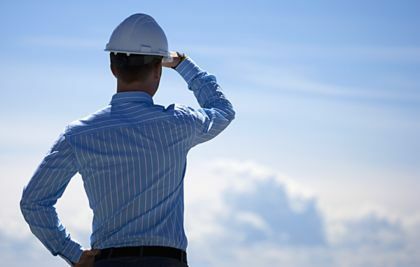 Tiaw is very installation and customization without to install any additional extensions. 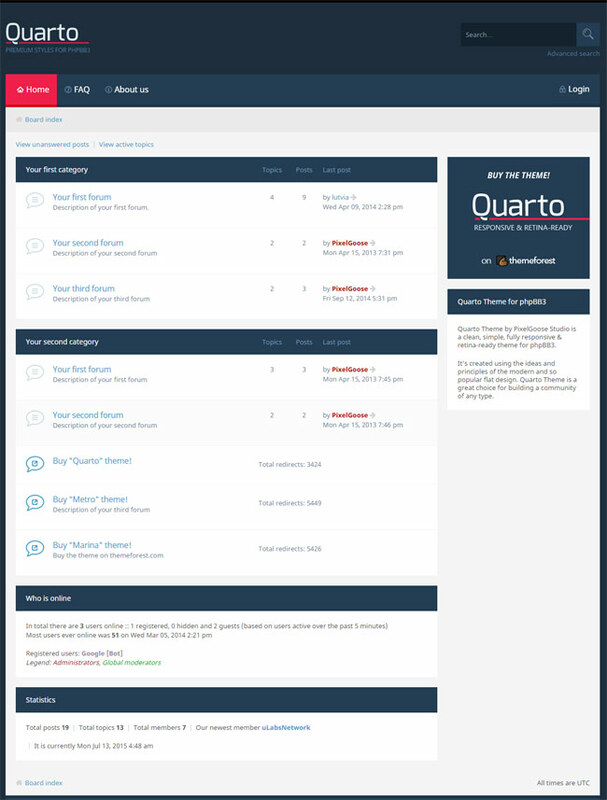 Quarto is a responsive theme for phpBB 3.0.12. 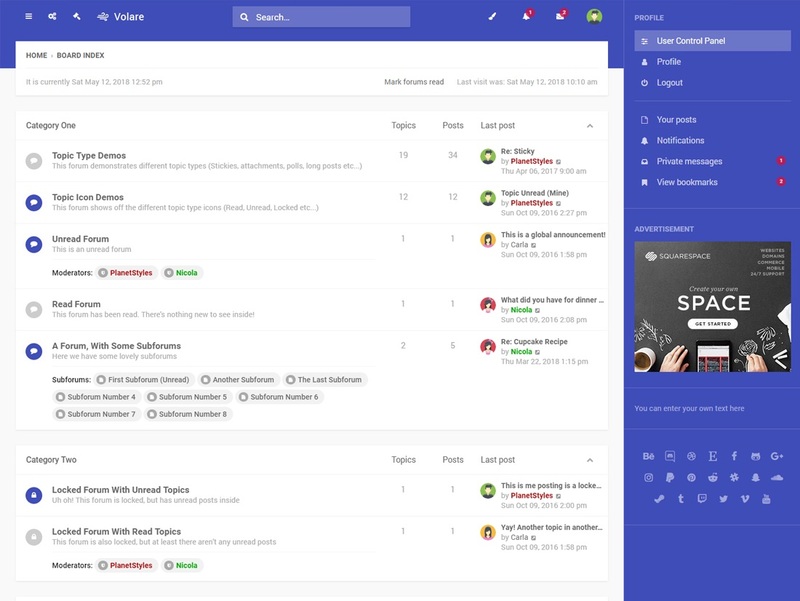 It’s a clean and simple style that fully supports the latest phpBB3 community software.Quarto for phpBB3 is fully responsive and retina-ready. It will look great on any desktop, laptop, tablet or smartphone. Is there any free phpBB Themes available. Hmm article on responsive themes. Pity it is so hard to read on a mobile device. What’s with the sharing buttons sitting on the text? 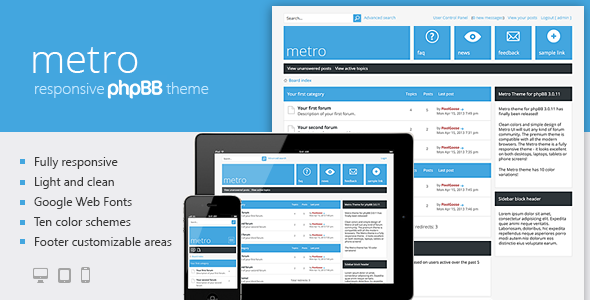 We have updated the latest responsive themes for phpBB. These themes can work well with the latest phpBB (version 3.1.8). Hope it will help your mobile users have a great time! Hi a ll ! 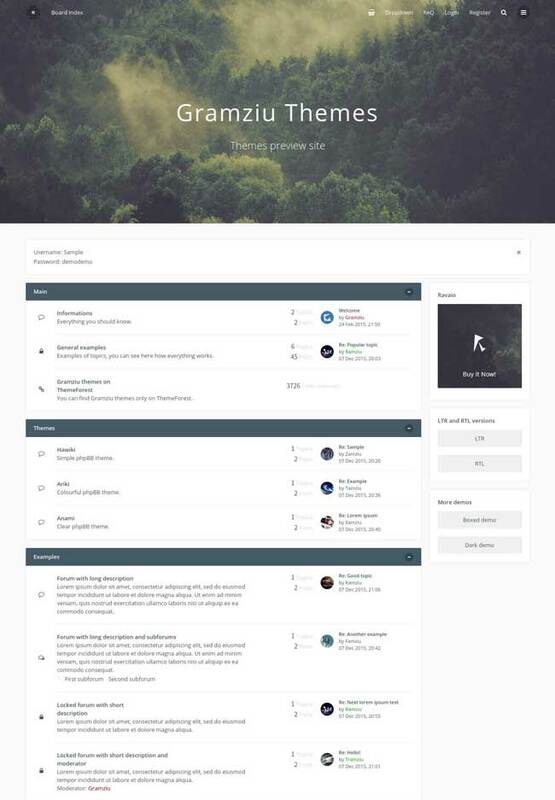 I’m a Forum Site admin i’m always seeking new information and keeping up with the online trends.This responsive phpbb Templates seems great , will try to test on my forum ! We have updated our collection for phpBB 3.2 version. You can find latest phpBB and try it today.